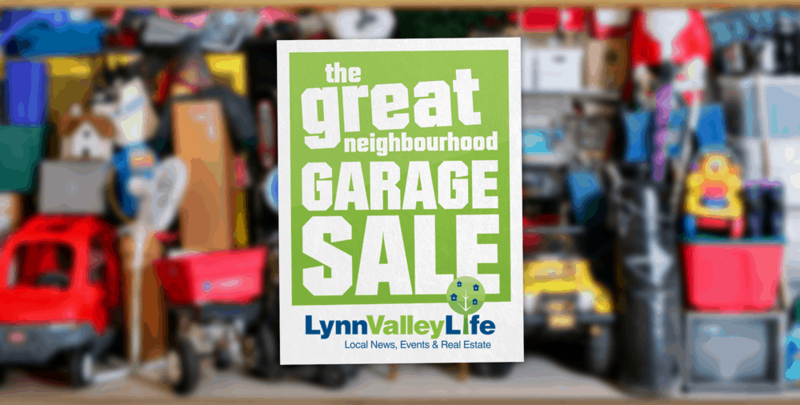 Our favourite Lynn Valley Life event is just around the corner. We love our annual Easter Egg Hunt! Between hiding the all the eggs, seeing the happy kids and getting a high five from the Easter Bunny it doesn’t get much better. 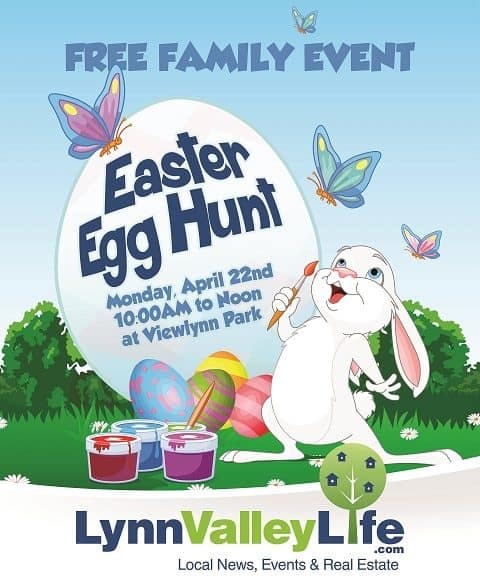 We are celebrating our fourth annual FREE Easter Egg hunt April 22nd at Viewlynn Park. from 10 a.m. to noon. Due to the popularity of the event, any child 10 and under is welcome and we kindly ask that parents participate with their children. We love that this tradition brings so many people out. It’s great to see the same families year after year. Back will be our favourite face painters and balloon twisters, prizes, and our famous loot bags (while supplies last). Don’t forget your basket or bag! As in past years, we will stagger groups of kids with the youngest going first so they aren’t trampled by the older kids. Cross your fingers for sunshine and a whole bunch of bunny fun but the event will be happening rain or shine! There are a few other events happening leading up to the long weekend. North Van Recreation is hosting an Easter Swim at Karen Magnussen Pool April 14 from 1:30-3:30 p.m. There will be waves, snacks, crafts, games and prizes. Cost: regular admission. The Lions are hosting an Easter Event at Heywood Park April 20, from 10:30 a.m. to noon. There will be crafts, face painting and entertainment. Easter Sunday is the culmination of the Christian Holy Week, and is preceded by Good Friday and Holy Saturday. 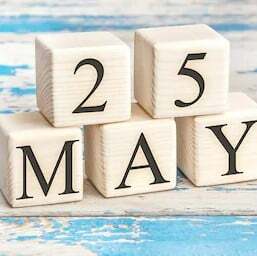 Special services are being held on all three days at many Lynn Valley churches, and all are welcome – should you want more information, contact info and church websites are listed on our Clubs and Associations page. Happy Easter, everyone! 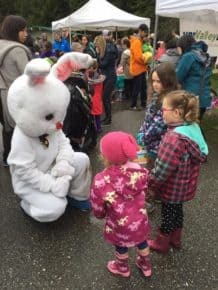 An Egg-citing Way to Celebrate Easter in Lynn Valley! We are having our annual FREE family Easter Egg Hunt April 22 from 10 a.m.-noon at Viewlynn Park. There will be prizes, plenty of eggs to find and lots of family fun — think face painting and balloon twisting too. If it is rainy, there’s no better way to spend the time than in painting some Easter eggs to give out to family and friends. Here are few novel ideas to get you started – you probably have everything you need at home already! Another tradition that will keep the kids busy is to bake hot cross buns on Good Friday, or to make an Easter bonnet for Sunday. And if you’re really having fun, why not make some homemade chocolate Easter eggs as well? Lynn Valley trail runner Julie Flynn has taken her experience in the forest and created a adventure story to help children be prepared for the outdoors. With a passion for writing, this idea was just the catalyst Flynn needed. In its 30 pages, Finn and the Magic Backpack tackles North Shore Rescue’s 10 Essentials in a fun and engaging way. While Flynn hopes the book will have mass appeal for any child who embraces the outdoors, there are plenty of North Shore icons that local kids are familiar with. 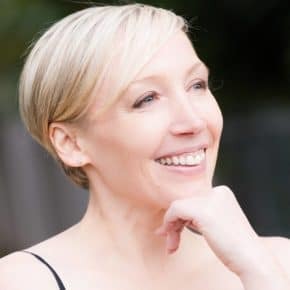 Flynn took advantage of the rise of resources and online marketing for writers, using her own motivation to publish the book herself. 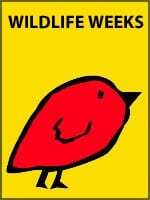 When the book was released last summer it was very warmly received with some early traction on Amazon – reaching number one on its children’s camping chart. With one book under her belt, Flynn is already thinking of other stories. “For the next one, maybe Finn will meet his granny and she will be really cool, love the outdoors and hike all over the place and they would go off on a big adventure together,” she said. Finn and the Magic Backpack can be purchased at the End of the Line General Store or Amazon and a copy is available at the North Vancouver District Public Library. Light – Flashlight or a headlamp with extra batteries (and light bulb if not LED). Green cyalume stick or small turtle lights as emergency backup. North Shore Rescue says the lack of light is the most common reason they respond to emergencies. Signalling Device – Whistle (NSR recommends the Fox 40 whistle with a lanyard), Bear Bangers, Pencil Flare. Fire Starter – Matches (water proof or in plastic bag) or lighter. NSR also recommends a commercial firestarter and/or a candle. Commercial firestarters can be purchased at outdoor stores like Mountain Equipment Coop. Warm clothes – Hat or toque, gloves or mittens, puffy jacket, gore tex jacket, polypro underwear, good quality hiking socks and gore tex over pants. Pocketknife – Although a multi tool is preferred, a good pocket knife with a quality blade will suffice. It may also be worth carrying a small pruning saw for cutting branches when building a shelter or fire. Shelter – Large orange plastic bag and thermal tarp. Water and food – Gatorade crystals recommended and high energy food bars. First-aid kit – Should include pocket mask; Sam Splint, bulk dressings, protective gloves, bandage, scissors and blister dressings. Navigation – Good quality compass with built in declination adjustment and both topographical and interpretive maps. NSR also recommends a GPS unit but only as an adjunct to compass and map. Most team members carry a Garmin 60 series GPS unit that has terrific reception in the trees. Communications – Cell phone – NSR recommends you bring a cell phone with a fully charged battery. It is advisable to keep the phone turned off, and stored in a ziplock bag. This way, if you get into trouble your phone will be dry and have a full charge. Many people manage to call 911 initially but their phone dies before their location can be relayed, not a desirable situation. If you have a smartphone, you should also know how to get GPS coordinates off of it to give to search and rescue if you become lost or injured (eg. MotionX or iphone compass app) . Depending on the terrain and difficulty of your excursion, it may also be worth considering satellite based communications devices like the Spot, Delorme InReach or a Personal Locator Beacon. Spring Break is almost upon us. The weather is *supposed* to turn warmer. The kids will be out of school and the time change is upon us. Longer days, new beginnings and new challenges. If you are still looking for something to keep your children busy during the last part of March we have pulled some ideas offering new adventures. Come to Lynn Canyon Ecology Centre open house to meet reptiles from around the world and get a peak into their fascinating lives. Native bees are our most important pollinators. Attract friendly mason bees to your garden by making them a bee house. Owl is dedicated to the rescue, rehabilitation and release of raptors. Discover how OWL volunteers save the lives of over 700 raptors each year and meet an owl and a hawk. Learn how the Borneo Orangutan Survival Foundation gives hundreds of orphaned orangutans a second chance to survive in the wild. Learn how to stay safe and get along with our black bear neighbours. Discover why our national animal is also an ecological superhero. Whales, dolphins, and sea lions, oh my! Discover who’s swimming in the waters around Vancouver. There will also be an optional marine wildlife field-trip associated with this presentation. Saturday, March 30. 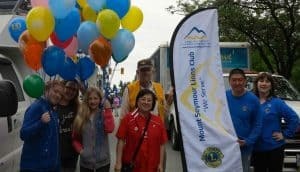 10 am to 12 pm at Whytecliff Park. Come and be a nature detective in Lynn Canyon Park. Learn about tracking, uncover the hidden habitats of animals, play games, and create nature crafts as we ramble along the forest trails. From caddisflies to crows, discover how animals construct their own temperate rainforest homes. Explore the forest looking for signs of animal homes, and learn how you can help our local wildlife get ready for the springtime building boom. Robotics & Coding introduces kids to robotics and provides a hands-on learning experience that engages children’s creative thinking, teamwork, and problem-solving. Campers build Lego models featuring working motors and sensors and program their models with drag-and-drop software. This camp has a different theme every day, and campers will build Bricks 4 Kidz models using LEGO bricks. Join them for models ranging from bumper carts, battle tops and helicopters! Campers will use the LEGO Mindstorms EV3 product to introduce and advance campers through robotics and coding. Program focuses on how robotics and technology can make life easier in a modern city. Build robots using Mindstorms EV3 electronic bricks and programming with different sensors and software. 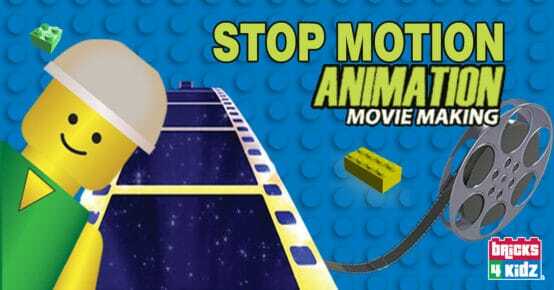 Get your ticket to ride at Bricks 4 Kidz’s very own Lego Amusement Park! Campers will build a new ride each day, learning how to make models spin, turn and rock’n roll. Motorized Lego models maximize the action and fun. Each camp day includes carnival-themed games, group challenges, model building and more! All campers receive a themed Bricks 4 Kidz shirt and camp brag tag! Light, cameras, LEGO® action! Use LEGO® Bricks to tell YOUR story, complete with music, special effects and all your favorite LEGO® mini-figure characters! Students plan, script, stage, shoot, and produce their own mini-movie. Working as a team, students will use LEGO® components to build the set and props, then shoot their movie using a camera. Don’t miss your chance to be a movie producer! All campers receive a themed Bricks 4 Kidz shirt and wearable USB drive with all camp-produced movies! Last year we profiled all the great options offered by Escape Adventures that post will give you insight into all the action and adventure campers experience with Escape Adventures. Some of the programs may have changed so get all the latest details on 2019 programs here. 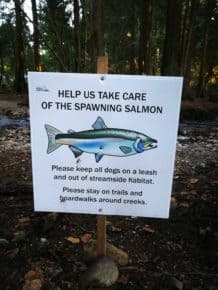 Signs have been popping up and down seasonally along local streams and creeks in a partnership between the North Shore Streamkeepers and the District of North Vancouver to raise awareness of sensitive salmon habitat. For the past two fall/winter seasons the North Shore StreamKeepers have placed signs around sensitive fish habitat – like Hastings Creek in Hunter Park – asking owners to keep their dogs out of the water. There are times when the creeks are low – August/September – when fish are less at risk and entering creeks presents little risk, she said. However, during the late fall and early winter the eggs and fish are especially vulnerable. Hastings Creek is home to Coho salmon. It is natural habitat as well as the recipient of alevin stocking from education programs at local schools. In Hunter Park, Dysart draws attention to the wetland environments that border some of Hastings Creek calling the areas particularly sensitive to both human and animal feet. “We want people to be aware – if we are not we might lose – it. Later this month the North Shore Streamkeepers are hosting a workshop in the honour of the International Year of the Salmon. February 23rd they will be hosting a panel discussion with representatives from the federal Department of Fisheries and Oceans and local experts. Workshop on the Wild Salmon Policy Implementation Plan: Moving from Policy to Action will be held in the Arbutus Room at the Delbrook Community Recreation Centre, Saturday February 23rd from 1:30-4 p.m. 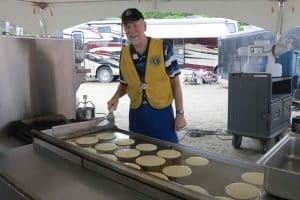 They have also confirmed the attendance of a number of local politicians, members of the legislature and Federal Minister of Fisheries and Oceans Jonathan Wilkinson. The public is welcome to attend and participate, register in advance here. 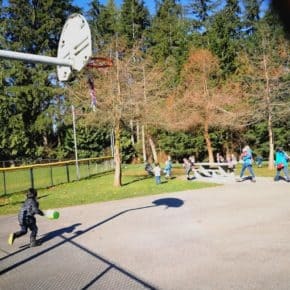 The North Shore Streamkeepers meet every second month at the District of North Vancouver Hall. The next meeting is March 13 at 7 p.m. For more information visit their website. A health-focused Lynn Valley couple has written the book on keeping teachers healthy. 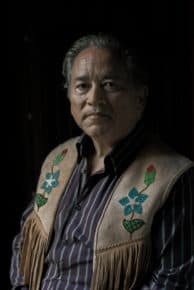 With more than 20 years practicing occupational therapy focusing on the education sector Wade Repta put much of his expertise down on paper in The Well Teacher with the help of his wife Andrée. Covering a range of topics The Well Teacher was written to give teachers practical tools to keep them in the classroom longer and to get them back sooner after injury or illness. Another big difference between other sectors and education are the return to work accommodations, explained Andrée. After an injury or significant work absence most employees are able to figure out with their employers reduced hours, part-time schedules, different responsibilities and a variety of other accommodations. “For teachers depending on their schedule, their blocks, their specialties it can be difficult to find support for that which makes it very different from other sectors,” she said. 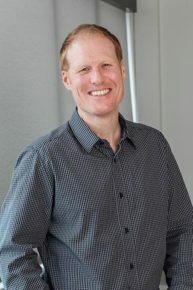 Most of the book is specific to the teaching profession which Wade says is to address the unique challenges teachers are facing. Topics range from mental health to ergonomics to voice as well as an entire chapter on returning to work after an injury or illness. They cover the day to day life of educators which can slowly erode health. The physical challenges are usually not brute force injuries but stem, typically, from poor routine. Often small changes to classrooms and routines can help those teachers. 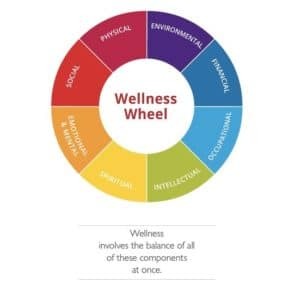 The Well Teacher also addresses the physical challenges of chronic conditions and disease. But that’s not the case for other teachers. People don’t realize it’s common for teachers to feel that way because they get multiple breaks throughout the year but when they are at work it is overwhelming, he said. The Well Teacher website also has a number of resources available that help readers implement the strategies in the book. 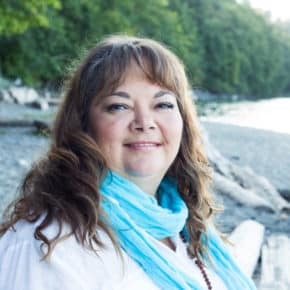 The Well Teacher is available online or by contacting Wade and Andrée at thewellteacher@humanworks.ca to order your copy and arrange Lynn Valley pick up to save on shipping.